Pike County Conservation District participated in Wallenpaupack Area High School’s bi-annual week-long Lake and Water Program. On September 19, Conservation District Watershed Specialist Emily Rinaldi demonstrated the Groundwater Flow Model to over 125 – 9th Grade science students at WAHS. 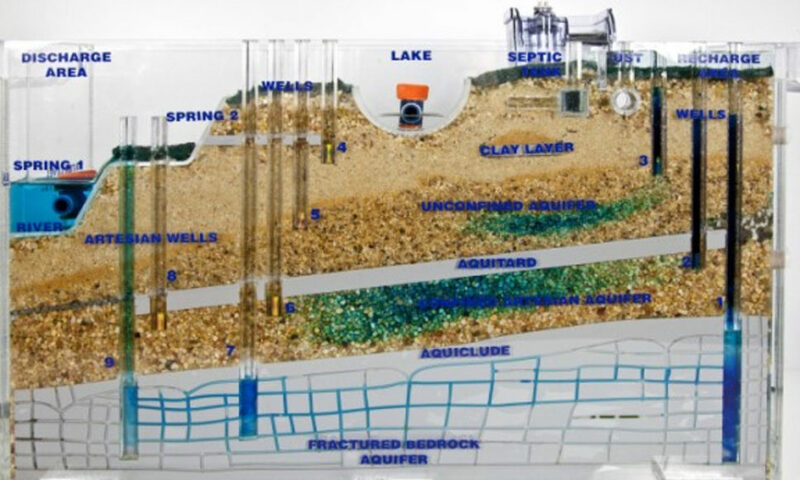 The groundwater model illustrates how groundwater moves through the underground soil and rock system and how what people do on the land surface can impact groundwater quality. WAHS week’s events also included presentations by Penn State Extension on conserving surface water resources and their relation to groundwater and a boat trip on Lake Wallenpaupack with the Watershed Management District to give the students hands-on experience with water quality sampling and lake management.